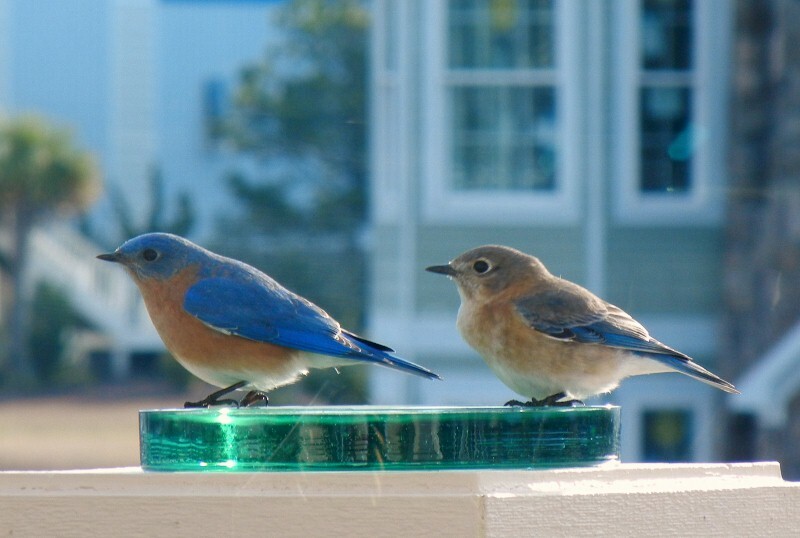 This years new pair of bluebirds, we have named Dave & Edith after our good friends from Michigan. Looks like she is still chasing him. Hope she catches and starts a nest soon.